It’s no secret that Camelbak owns the market on day pack and mountain biking hydration, but anyone who has been part of the running industry will know that their attempts to enter the hydration vest market for running has been a struggle. They’ve continued to be three steps behind other leading companies. With their new Ultra line, however, that might change. 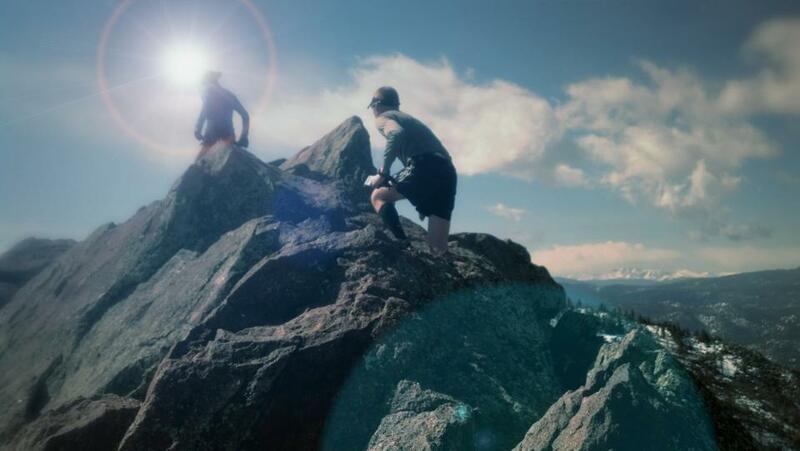 We contacted Camelbak about doing a review and they were more than excited to get involved. A couple of weeks later I came home and found two very large boxes on my doorstep. What I didn’t realize until that moment was that they were sending us all four of the products in their line. Needless to say, we will be doing a give-away at the end of this article. Ultra LR Vest – The 2L reservoir sits lower on the runners back due to their Antidote technology. This allows the center of gravity to sit lower on the runner resulting in better form and increased stability over difficult terrain. The quick-stash mesh pockets up front can carry a truckload of fuel or even two water bottles. Add in two higher chest pockets for electrolytes, keys, or even a smaller phone and you have a very comfortable and complete running vest. Arc 4 – The Arc 4 offers four 8oz bottles that can be used to vary your hydration. Each bottle uses the Jet Valve technology (best invention ever) and TruTaste liner so that you never get that plastic water bottle taste in your liquids. Throw in a comfortable belt and key/phone/fuel pocket and you have a complete training belt. Arc 2 – The Arc 2 is basically the same belt as the Arc 4, but with just two 10oz bottles. It continues to provide the same comfortable belt and advantageous pocket, but with only two available bottles. It offers less water, but can be a faster race belt or great shorter run training option. Arc Quick Grip – “The Arc Quick Grip™ combines a 10oz Podium Arc bottle, contoured to fit your hand perfectly, in a lightweight, breathable strap with a small pocket for keys, energy gel or cash” (from their site). This is a great training or race handheld that is very easy to carry, but still offers enough hydration to get you where you need to go. Our testing team put the Camelbak Distance series through it’s paces over a four week period, in all parts of the country and in every condition. The feedback we got back varied, but was extremely positive overall. Note that each category was ranked between 1-5, with 5 being the best possible score. Read to the bottom for your chance to win one of the Arc belts! We reviewed both of these together since the sizing didn’t change, only the amount of bottles. We found that the sizing ran almost a little large for most of our testers (all belts tested were a medium). Notice too that it uses a velcro closure, which means you’ll want to make sure you keep it clean so that it doesn’t loose its adhesiveness over time. Our testers averaged 50 miles on this handheld over the test period. Leave us a Comment and enter for you chance to win an Arc 4 0r 2 of your own! We will pick a random winner from the comments. We think you’ll be as surprised as we were with the new gear. Comments will be counted until midnight on November 20! Congrats to Camelbak, you’ve built some winners here! Visit Camelbak to learn more about the Distance Run line! “Project Lactating” is the official quote of the day. Thanks for the comment. I love the Camelback bladders, I use one in my Nathan 020 HPL. 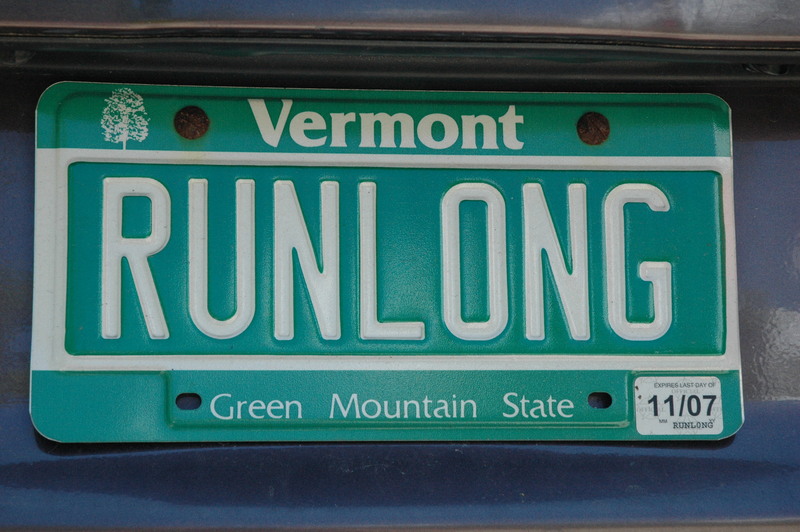 It’s exciting to see their taking an interest in runners now. I can only hope they’ll continue to design more. I’ve been eyeballing the Camelbak packs for running since we use Camelbak for everything else (hiking, biking, etc) but wasn’t so sure about the water on hips. Sounds like its a good thing – would make sense to put the hips to use and your back/shoulders a rest! Did you have a woman test the vest (or the other products)? I have been wanting a hydration vest, but I have the “typical” short torso that means I need womens-specific backpacks and would likely need a womens-specific hydration vest too. I’ve been using a Camelbak Mule for over a year now. It has served me well and I have been satisfied with it. However, it wasn’t really built for running. I’ll have to take a serious look at the Ultra LR Vest. I’m a long-time Nathan hydration vest fan, but I have to admit that I’m *very* impressed with the CamelBak Ultra LR vest. I’m going to find a shop locally where I see one in the flesh – and try it on. Thanks for the mini-review! i won the ultra lr vest in a #runchat giveaway, but i haven’t got to play around much with it yet. i’m excited that my podium chills fit in the front pockets if i ever want to go with two of those instead of the bladder. The LR vest looks interesting. I have had trouble with belts in the past and have primarily used packs. Do the shoulder straps take some of the weight/pressure off the hips? I do think that Camelbak makes the best bladders out there, but their packs did have lots of improvements that they needed to make. I still use my Camelbak bladder in other packs (usually Mountain Hardware due to fit), but I’d be happy to try an Ultra LR Vest after this review – I like the fact that it has pockets in the front and sits lower on the back! I have my first 50k next month and have been trying to find the ideal hydration system to use! I have my small camelbak handheld but would LOVE some new hydration gear for the race! 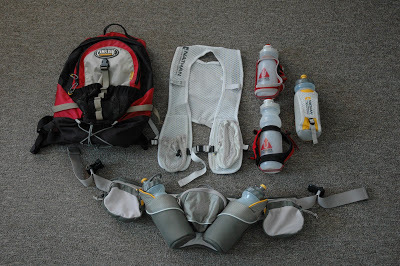 I’ve been trying to decide between the Camelbak Ultra LR Vest and a UD Pack for awhile. Thanks for reviewing these to make my decision a little easier. The review was great as always! I really would like to try a good handheld. I have used a back pack style for long runs/races and it just gets heavy after so long.